A350 XWB News: The A350, a hub in the sky. Honeywell Aerospace and Thales In-flight Entertainment & Connectivity announced this week at APEX 2014 that they will provide "the same connectivity experience in-flight as they would have at home or work" by integrating Honeywell's JetWave hardware with Thales' cabin network solutions on the new Airbus A350. Honeywell considers modern planes "a hub in the sky, connected to a broader end-to-end system." This connectivity solution will provide access to real-time TV channel viewing, live chatting, video streaming and more. 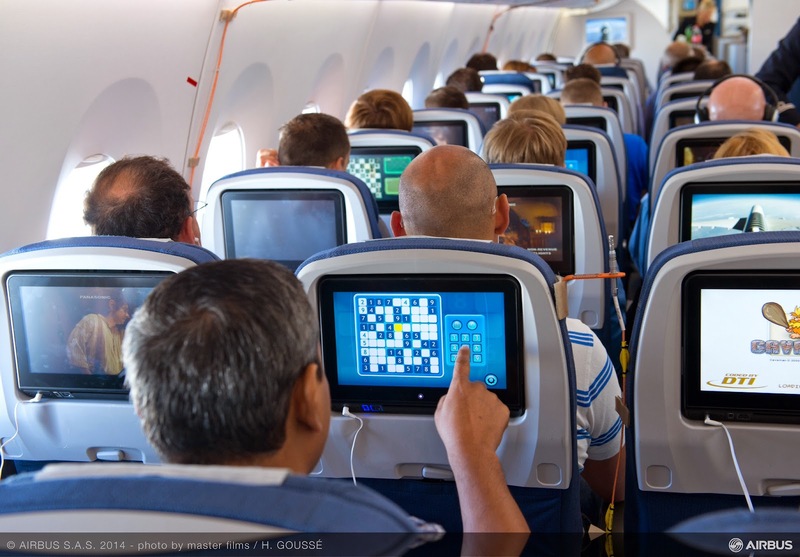 "Passengers want the freedom to stay connected in the air while traveling over land or sea. Honeywell JetWave hardware enables aircraft to connect to [Inmarsat's Ka-Band global high-speed broadband] GX Aviation, which will truly enhance their in-flight service offerings." "GX Aviation provides consistent, global and high data rate bandwidth. 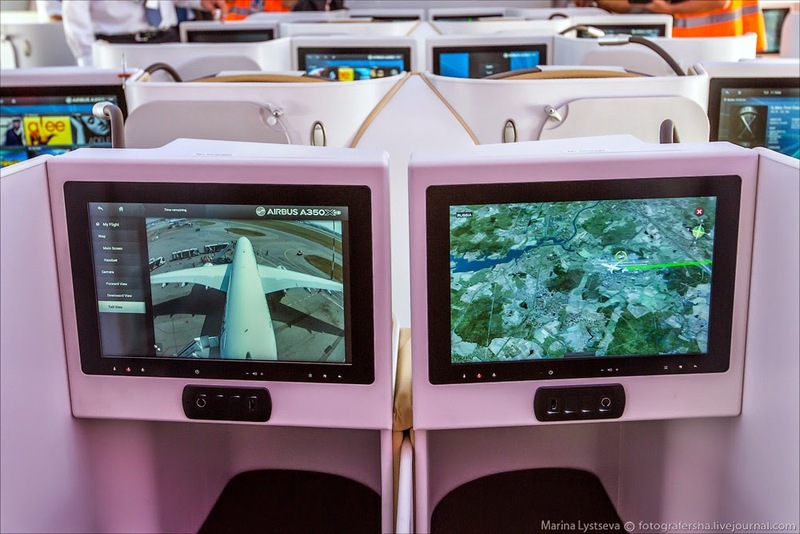 Combined with Thales in-flight entertainment and connectivity offerings, airlines will be able to offer to their passengers an unmatched in-flight experience onboard Airbus A350XWB with quality and reliability." Inmarsat has the satellites that provide the broadband GX network. Honeywell builds the JetWave antenna that receives the satellite signal. 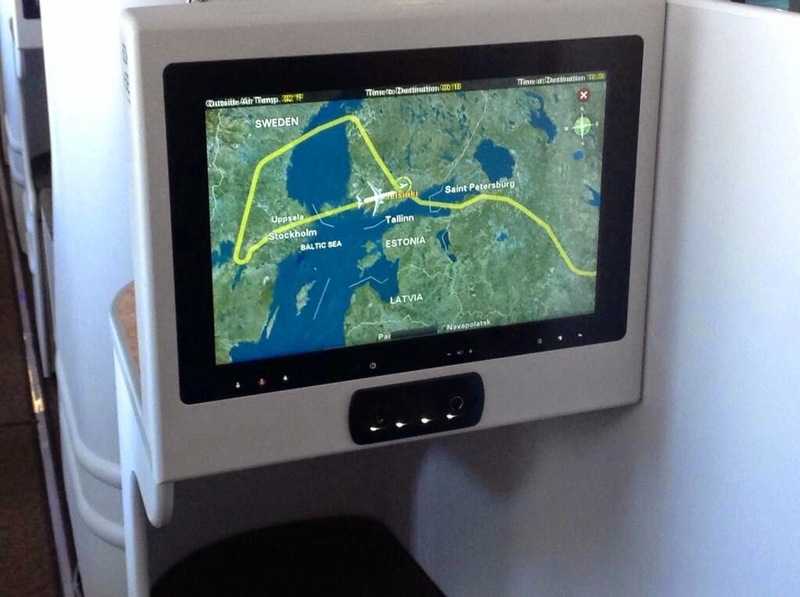 Thales cabin network solution gets the signal all sorted out and translated into information which you them stream to your seat back video screen or portable electronic device (PED). This collaborative offering will deliver data rates to the aircraft at up to 50Mbps, and is expected to reach the market next year.